Follow the trail to the end. Happy Birthday ED!!! Ed’s birthday is on Saturday. If you decide not to come out for a birthday run and we don’t see you…have a fantastic day! Congrats on the Running Milestones RICK!!! 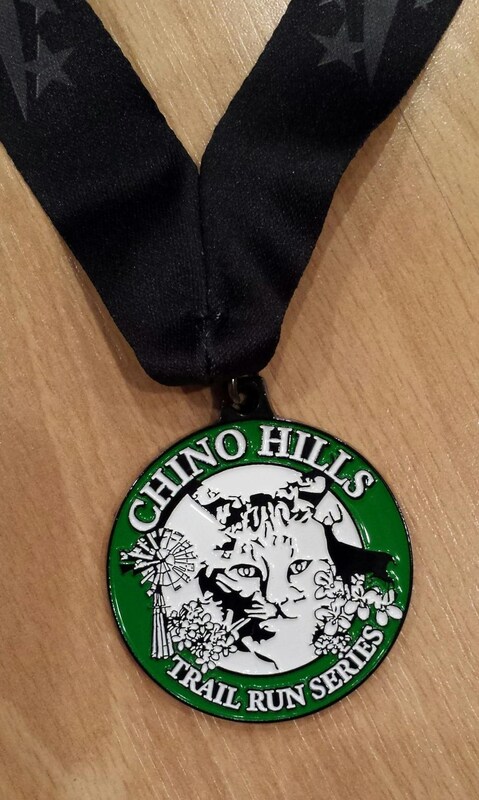 Rick completed the Chino Hills Trail 1/2 Marathon last Saturday, which was his 20th 1/2 marathon. Rick also logged 5,000 running miles in March. 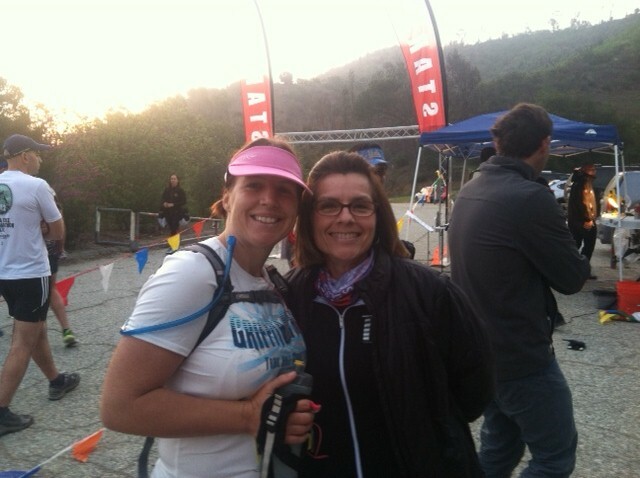 Griffith Park Trail Marathon: Elaine sent me some photos of Bethany and herself. Sadly, Elaine wasn’t able to run the race due to a sore back and hip. 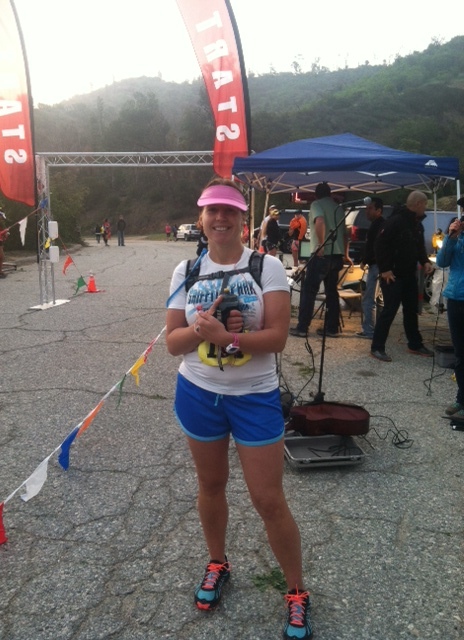 But…she was still out there cheering for all of the trail runners at a support station along the course. Bethany had a knee injury prior to the race, but she decided that she was still going to run the full no matter what. Not only did she have the knee issue…she also didn’t get much sleep the night before due to the earthquake and kids. Unfortunately, Bethany’s knees were giving her problems that day and she was a few miles short of finishing the race. Bethany…kudos to you for not backing down and tackling this tough trail race even though you knew you were not feeling 100%. You should feel very proud of yourself for having the determination and willingness to take on this challenge! Elaine…we are always so impressed by your extremely positive attitude and spirit! You are an inspiration to us all and we can learn so much from your example. We are all so very proud of you both!!! Happy Running CHRISTINA, MARGARET and PATTY!!! Christina will be in Maui with her family for the week and will be running the Maui 5K with her sister, Nina. Patty will be running the Hollywood 1/2 Marathon and Margaret will be collecting state medal #33 at the St. Louis Marathon. Happy Running, Jumping, Climbing, Crawling and (Hopefully No Burpees). MASON!!! Mason will be participaing in a Super Spartan obstacle race in Las Vegas on Saturday.